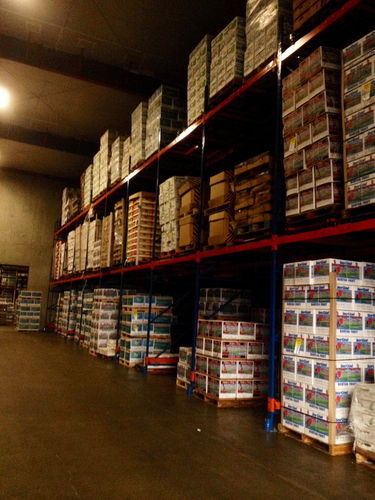 Through a joint effort between Operations and Sales/Marketing departments, Borton Fruit has identified and implemented a significant investment in a racking system that more than quadruples the rack space in the warehouse at our main plant. 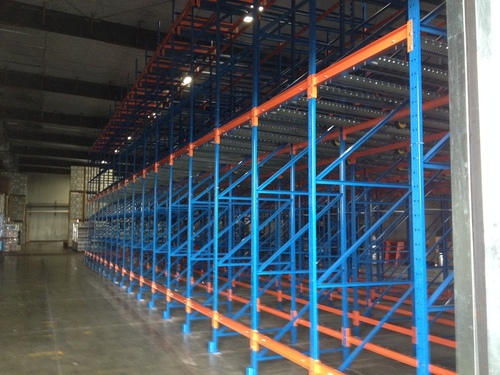 This system is designed to improve the vertical staging space for pending orders. The added space will allow our Operations team the ability to build and stage orders multiple days ahead of schedule in an effort to decrease the amount of time trucks will have to wait once checked in at our facility. The goal in all of this is to be able to stage the order in advance by at least 24 hours prior to the pick-up date entered on the sales order. This would then allow Operations time to let our Sales Team know if any changes to the order are needed or if product needs repacked so it can be done prior to the pick-up date as well as allowing our QC team to do their jobs more efficiently. We are also expecting to see less substitution on order fulfillments internally. The Washington Apple industry is dependent on the partnership with the trucking operators and we want to improve their overall experience at Borton Fruit. In addition to decreasing the amount of time the trucks will be held once checking in, we have also put in a new lounge that will be much more comfortable located in the shipping office. We encourage feedback from our Customers and their trucking companies to see how the system seems to be working on their end. Borton Fruit wants to improve the drivers overall experience while they are here at our facility, as well as benefiting their efforts in bringing our fruit to the market.